Thank you to all that participated in this event. A special thanks to all the teachers, who without their support	the teams could not have entered this great afternoon of volleyball. Thank you to all the parents that allowed their children to play and to the parents that come along to watch just	how much fun the kids have during the game. Win lose or draw, the excitement was electrofying. We at Northern Volleyball have decided that it was a successful junior tournament. We would like to invite you	all back to play again. A regular event perhaps, Every third Wednesday of each month. For the teams interested, you simply log on to our website www.northernvolleyball.com.au Click on register	and fill out the entry form. Winning teams…… The top boys and top girls team have free entry to the next event. Maribyrnong Boys and Eltham girls. Each team played exceptionally well although can only be one winner per	gender and congratulations to both. For the rest, perhaps next round it's your turn. Train hard, listen to your coaches. Develop as players and come back better, faster and stronger. One of the fastest growing junior volleyballers associations in Melbourne. Northern Volleyball is located at 857 Plenty road Reservoir Melbourne. Conveniently across a tram stop, makes transportation a breeze. Open to all schools, Groups, Clubs and social friends. We cater for all aspects of volleyball. Regular training sessions are available to anyone from the young elite who hope to participate in State League. Or to the young social player who would like develop their skills by our coaching staff. Our clinics are open to ages from 9 through to 16 and run on a Wednesday afternoon 5.30pm to 7.00pm. We also run a regular competition two times a month. The first and third Wednesday of each month. This is catered for U15 boys and girls and U17 boys and girls. For more information on this please click on our competition tab. We endeavour to make your experience with us and playing volleyball an enjoyable one. 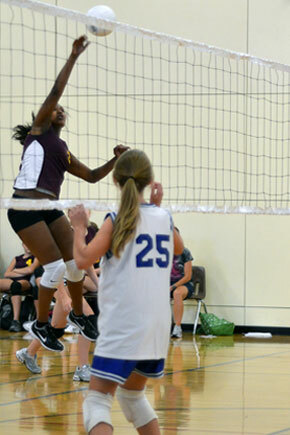 We work together with our local Volleyball Club and have room to grow this wonderful sport to many extremes.